The AMD Wraith Max was shown off quite a bit in Ryzen’s early days and people were a bit bummed to find out that it would not be shipping out with initial Ryzen chips but alleviated when we found out that it would be available as a separate standalone purchase. 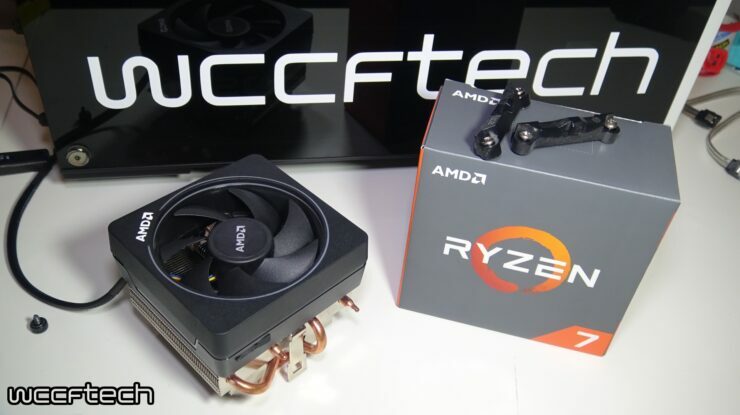 This was something that people have been asking for since the release of the original AMD Wraith cooler back with the FX and A10 series processors as we found it to be nearly as powerful as many aftermarket coolers while still being painless to install. Thanks to Brad over at PCWorld we found out that the Wraith Max had finally gone on sale in the U.S. only to sell out immediately. Well, that was fun. The news came right as I was editing the included video where we went ahead and compared the Wraith Max cooler to the stock Wraith Spire using the Ryzen 7 1700 at both stock and overclocked speeds. As good as the Wraith Max may be it’s kinda hard to recommend running out and buying one since you can’t find them, but we do have a couple recommendations that match performance but lack a little flare. The original AMD Wraith Cooler can be found on Amazon for a wallet friendly price currently at $35.99. Want to strip it down and save even more, the AMD Silent Cooler w/o LED is the same cooler and fan sans sleeved cables and LED logo for roughly half coming in at $18.10!